Toluna is the leading research platform that helps companies make the right decision by connecting them with consumers/people. And now you can it has introduced an app to help companies gather insight and users to earn some extra cash. 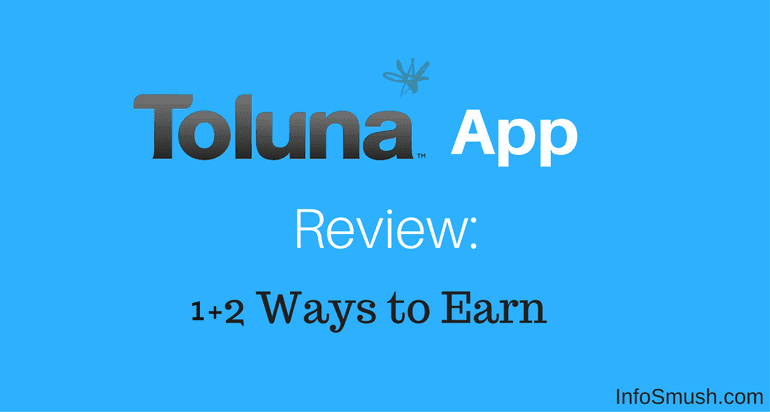 Yes, today I’m reviewing the Toluna app which is available for both Android and iOS. Toluna pays you for taking surveys and answering simple questions. It pays you in points. You can redeem your earned points for PayPal cash, Flipkart gift cards and more. You can also take surveys on your PC at toluna.com. On the Toluna app, you can earn points in three ways. In the sponsored many slides are stacked. These slides contain questions (polls) and surveys. Each question is worth 15 points and takes 2-3 seconds to complete. You just need to select the option/answer and tap on "Vote''. 15 points will be instantly added to your account. 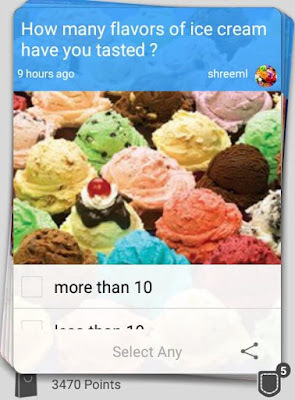 These Polls help Toluna to send relevant surveys to you. These slides also contain questions submitted by users that won't give you any points. You can skip any slide by dragging it to the right or left. The paid questions have 15 points mark on them. Surveys also appear as slides in the Sponsored and Popular tabs. You can view all the available surveys by tapping on the surveys button in the centre of the top. These surveys range from 500-4000 points. The higher a survey pays the longer it takes to complete. Most of the surveys are user targeted. It means that you won't have to fill out qualification surveys to reach the paid survey. In short, You won't be kicked out of a survey after spending your time on it. You can swipe the slides to the bottom right corner to add them to favourites and complete those later. You can use your points to enter into various sweepstakes. In Toluna Sweepstakes you can win many prizes. And each sweepstakes entry fee varies according to the prize. For example, there is a Sweepstakes going on with iPhone X as the prize. You can buy 1 ticket for 1,000 points in this Sweepstake. You can also win cash in Sweepstakes. You can redeem your points for Mobile Top-up, PayPal cash, Flipkart Gift Cards, Nykaa.com gift cards and Shoppers Stop gift cards. 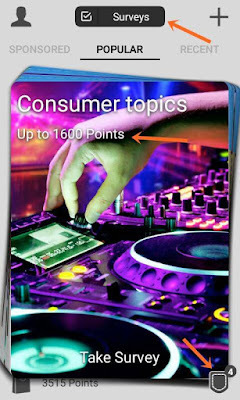 You can redeem 50,000 points for Rs. 500 PayPal or Flipkart gift card. Most of the surveys are user targeted. You can easily earn 15 points per answer of the small questions. Points can be redeemed for PayPal cash. 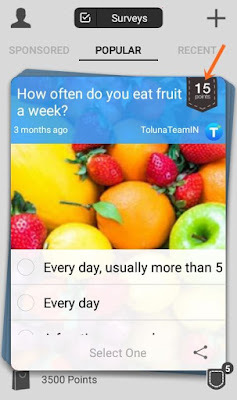 Toluna App is simple and easy to use. Can be accessed on the Web. Many times the demographic questions appear over and over. Even after you have answered it. The conversion rate is not very attractive for Indian users.10,000 points is equal to Rs. 100. So if you are from India you will have a hard time reaching the redemption threshold. Minimum cash withdrawal is as high as 50,000 points for Rs. 500. Browse InfoSmush to read more reviews and don't forget to share your views on Toluna app and this review.